Chanerya Rowland and her son Ethan at her book signing at the Aliceville Library on Sunday, March 31st. 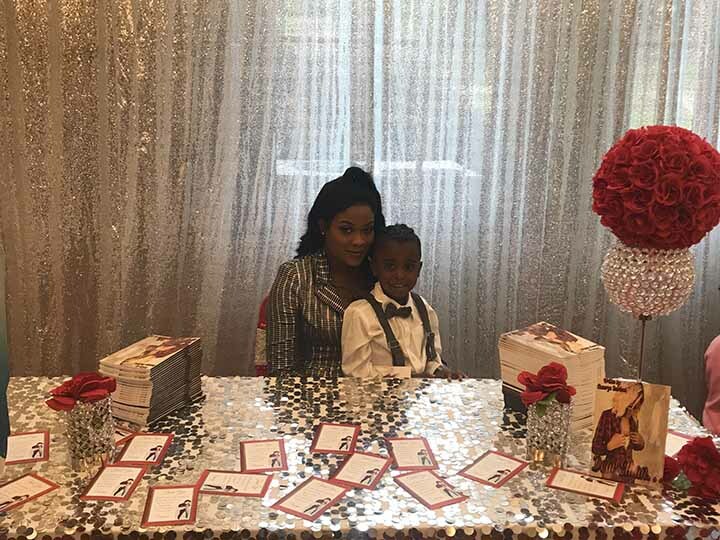 The Aliceville Public Library hosted its first book signing on Sunday, March 31st for Aliceville native Chanerya Rowland and her book titled Dear Ethan. Rowland, now a Tuscaloosa resident, mentioned that she was elated for the library to host her book signing and release amongst a crowd of friends and family. “It really means a lot and it definitely meant a lot when (library director Frances Lewis) called and said she would help out. That really meant a lot to me,” Rowland said. Rowland describes her book as a book of self-discovery during trying times and said that her son Ethan was her drive to write and publish the book. Rowland lost custody of her son in 2015 and having grown up without a mom herself, she said that she felt the need to write the book to her son.